What was your inspiration to make this type of game, the Art Style and overall in general? – Max, our lead director, and producer, studied religion in college and it became a sort of passion for him. He has a habit of getting into fascinating discussions about the most interesting parts of religious lore. Buddhism has always been of particular interest and the inspiration behind his most captivating stories. We wanted to share that, and while it’s not the primary focus of the game, it will play a big part in the game’s lore. What makes your game unique and sets it apart from any other game on the market today? – We’re doing something totally new in the MMO industry. First, we want our game to be accessible to all people regardless of economic conditions. So no subscription fees. However, rather than squeezing money through some other money-gated system (like pay-to-win game purchases), we’re going to try and utilize a “Pay what you want” system. We set up Patreon and MakerSupport accounts where interested parties can pay a monthly amount of their choice and in return, they gain non-game breaking rewards like bleeding edge content access and their name in the game’s credits. We’re also going to make the game playable while we are developing it. This will give our community the chance to shape the game alongside our team! Do you plan to create more games similar to Secret of Dhatu or will there be a sequel? – We haven’t given that much thought yet. Our current focus is Secret of Dhatu and we’re relentlessly pursuing the success of the title. What stage is the game in now? When do you plan on releasing the game? – As of this interview, early development. The game will be released sometime within the next few weeks, no set-in-stone ETA yet. The first release will be a public test of our engine and client-server networking system. Players will not be able to enter the world just yet. However, this should resonate with what we said earlier. We said we’re making the game available during development and we mean that! Where can fans purchase and or back your game now? Are there any other games in the works? Would love an early leak if you are able to reveal it. 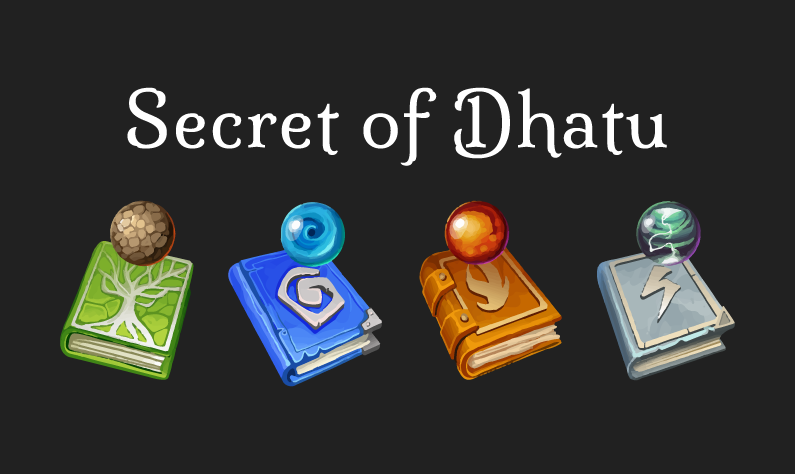 Secret of Dhatu is currently the only game we’re developing, but we’ll certainly let you know if we begin work on another title! Any other exciting news or updates? – We’re on track to the first public release and we’re really excited about that! Again, no set-in-stone ETA just yet but definitely some time within the next few weeks. Our project is still very young, and this release will mark a major milestone for us.